polished and lacquered brass backing? 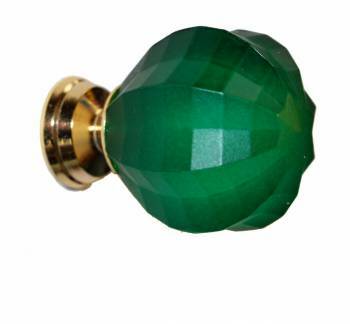 This emerald green frosted acrylic pumpkin knob handle measures 1 in. in diameter. Brass backing is polished and lacquered. Very pretty. 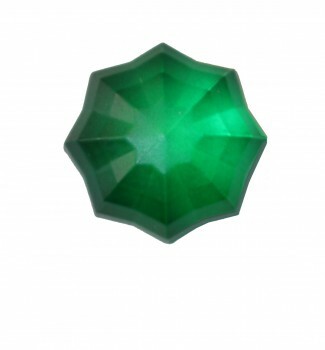 Picks up the light better than the picture shows. 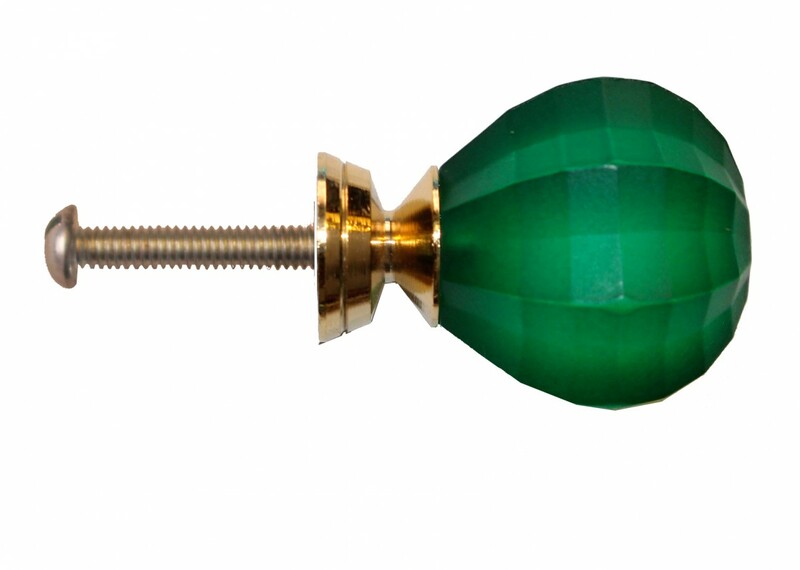 Didn't give it 5 stars because one of the knobs isn't tight in the metal part and loosely turns = screws into the door tightly but the green part keeps turning. One is tight, one turns.